Palomino Pet Hospital & Clinic is a full-service veterinary medical facility, located in Apple Valley, MN. The professional and courteous staff at Palomino Pet Hospital & Clinic seeks to provide the best possible medical care, surgical care and dental care for their highly-valued patients. We are committed to promoting responsible pet ownership, preventative health care and health-related educational opportunities for our clients. Palomino Pet Hospital & Clinic strives to offer excellence in veterinary care to Apple Valley, MN and surrounding areas. Please take a moment to contact us today, to learn more about our veterinary practice and to find our more information about how Palomino Pet Hospital & Clinic can serve the needs of you and your cherished pet. At Palomino Pet Hospital, our team of professionals will work with you to help your pet achieve ultimate health and wellness. We believe that the key is a focus on prevention, excellent nutrition, and early detection of problems or disease. I have been in practice as a veterinarian in the South Metro area for nearly 30 years. I am a graduate of the University of Missouri, Columbia and reside in Credit River Township with my wife and our three children. I have a special interest in small animal medicine and believe strongly in the value of preventative care and client education. Along with my staff, I hope to promote optimal health and wellness for your pet. I also have a special interest in allergy and skin disorders. We successfully treat ear infections with a unique protocol that my staff and I created. I am a member of the Minnesota Veterinary Medical Association. I hope you will stop in and meet me and my staff in person soon. Emily joined our staff in March 2016. 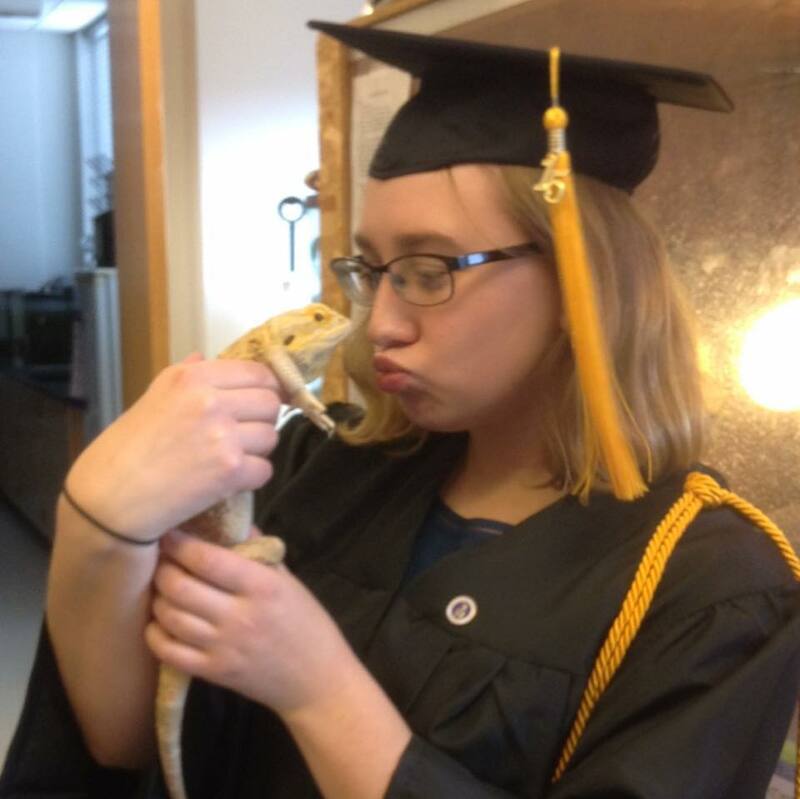 She graduated from Winona State University with a bachelor's degree in ecology and started vet school University of Minnesota in fall of 2017. You might still see her at the clinic during summers, and on weekends when she's not too busy studying! At the clinic, she helps check patients in, assists with and documents exams, cleans out rooms/cages, takes care of the animals boarding at the clinic, and answers phone calls and questions from owners. At home she enjoys reading, hiking in the many local parks, and spending time with her pets: two gerbils, an assortment of tropical fish, a sassy Betta fish named Arthur, and her zebra finch, Scuttle. Mackenzi joined our staff in April of 2018. She graduated from University of Minnesota-Twin cities with a bachelor's degree in Animal Science emphasis companion animal. At the clinic, she is our right hand gal. She checks in patients, assists Doctor in the room, takes care of the boarding and hospitalized patients at the clinic, answers the phone to make your appointment and answer any questions you may have. At home she is a full time mother and spouse to her husband, a little 3 year old boy, and expecting her second little boy come July. She has two dogs, a 13 year old male Maltese, Jaxon, who she adopted from her dad after their other family dog passed, and a 6 year old female Border Collie mix, Noa, who she adopted from a rescue when she was just a pup. Mackenzi enjoys spending time outdoors, trying new things, and traveling when she can get the chance. Bella on the TV watching the VIKES! !